About: Ludo is a French street artist, born in the suburbs of Paris, who creates graphics and wheat pasting. His work includes a specialty of street poster art that can be applied into walls quickly and effectively as wheat paste. Initially after studying sociology in Paris Ludo went to Milan, where he studied and developed his designing skills. Through his art, he is interested in bringing a message to the street that can easily be understood. He enjoys collecting what he can from society and incorporating it into his work when he takes it out to the streets. Most of his work primarily focuses on the combination of nature and human technology, emphasizing on the way society takes nature for granted. Often called Nature’s Revenge, his work connects the world of plants and animals with our technological universe and “quest for modernism”. It speaks about what surrounds us, what affects us and tries to highlight some kind of humility. Ludo’s materials include silkscreen, acrylic, pencils, scalpel, tape, and printers. This is all used for wheat pasting or paste-ups. He also works on street installations and sculptures by re-using objects found in the streets. He is constantly active with works across Europe, using trademark monochromatic paste-ups with dripping green highlights merging technology with plants or insects. Where you can see it: Ludo is based in France, but his work has been seen in the streets of Paris, London, Italy, New York, and many other cities. Ludo’s shows have been exhibited across the world in cities such as London, Amsterdam, Zurich, Rome, Paris, San Francisco, New York, and Los Angeles. 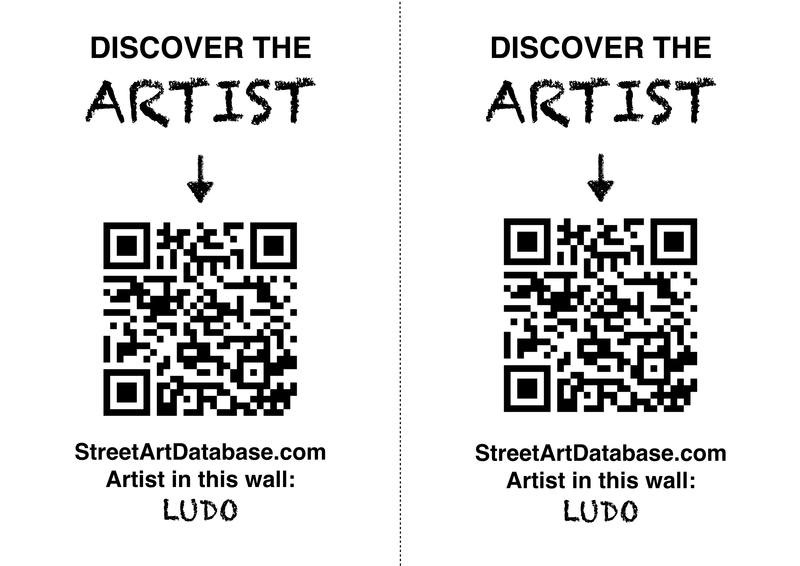 PRINT CODE: help tagging Ludo in the streets of your city! Posted in murals, poster wheatpastingBookmark the permalink.